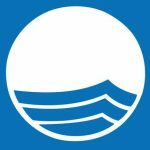 The Blue Flag Program has awarded its prestigious “Blue Flag” recognition to 395 of Greece’s best beaches, the Hellenic Society for the Protection of Nature announced on Wednesday. 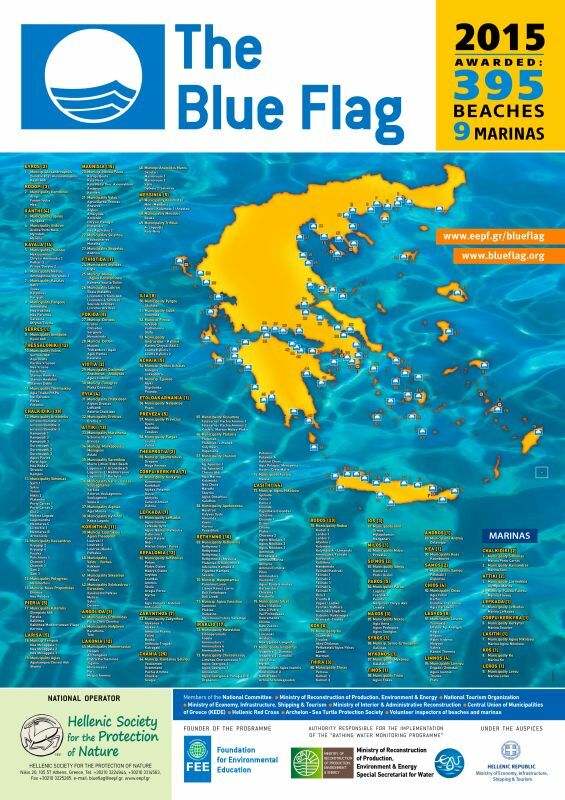 According to the announcement, Greece this year slipped one place to third spot on the Blue Flag quality award list, this year among 50 countries. Greece came third after Spain topped the list with 578 beaches, followed by Turkey with 436 beaches awarded the blue flag. In total, 395 beaches and 9 marinas in Greece have been recognized for their excellent seawater quality, litter management, organization of the swimming area, safety procedures for bathers and protection of the environment, among other factors. The Hellenic Society for the Protection of Nature said that an effort is being made to increase the number of Greek awarded beaches and marinas. 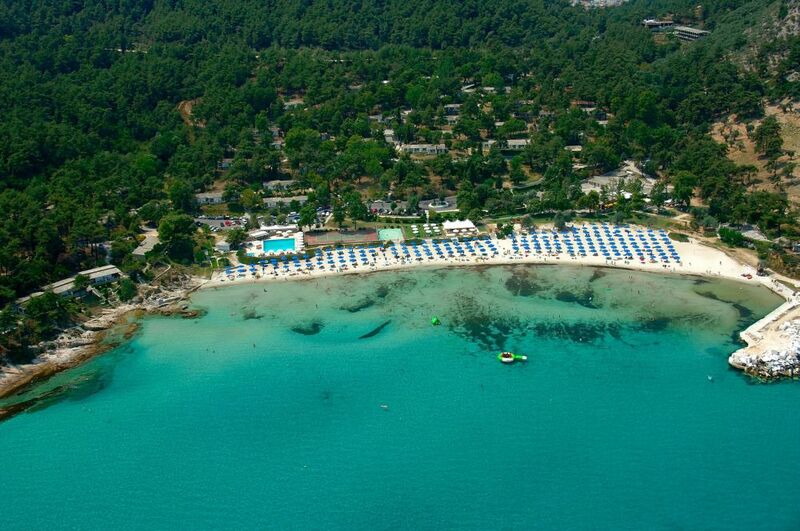 Last year, 408 beaches and 10 marinas were honored with the quality “Blue Flag” award in Greece. 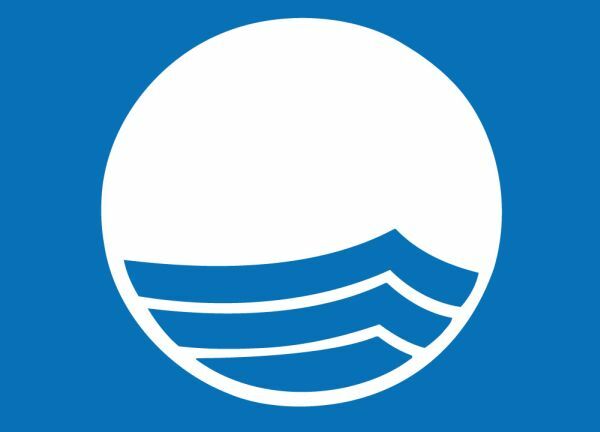 The “Blue Flag” is a voluntary eco-label awarded to the cleanest and best managed beaches across the world and is run by the independent, non-profit organization Foundation for Environmental Education (based in Copenhagen). The Hellenic Society for the Protection of Nature is the program’s coordinator for Greece. 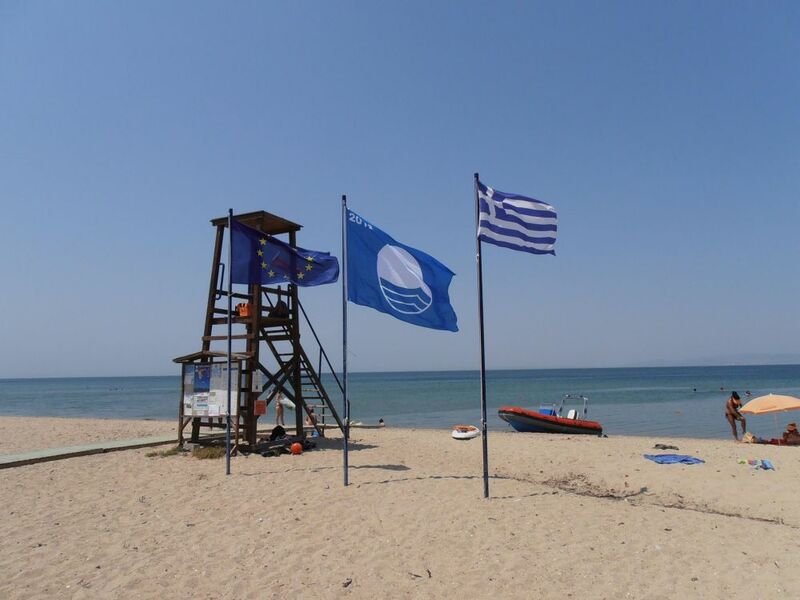 Lasithi (Crete) once again is in the lead as the destination with the most blue flags in Greece (44) and is followed by Halkidiki (39 flags), Chania – Crete (29 flags), Rhodes (23 flags) and Heraklion (17 flags). Magnisia and Rethymno (Crete) tied for sixth place (16 flags) and are followed by Kavala (14 flags) and Attiki (13 flags). The destinations of Thessaloniki, Kefalonia and Lakonia are in the ninth place with 12 blue flags each and Korinthia is in the 10th place with 11 blue flags. 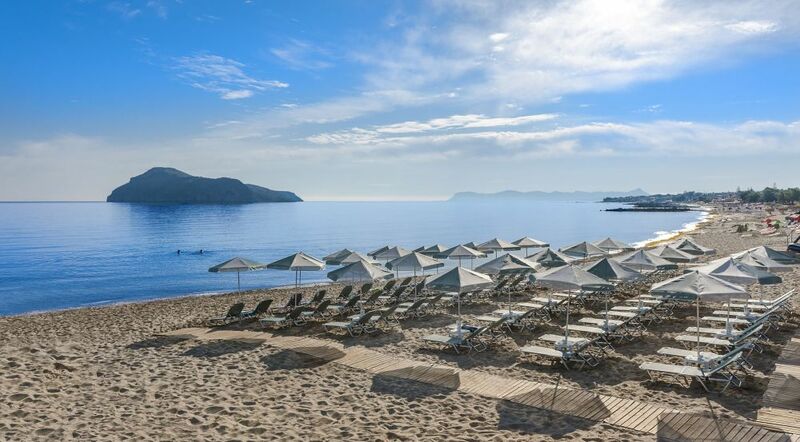 For the complete list of all 395 Greek “blue flag” beaches, press here. On a worldwide scale the foundation awarded the international eco-label (blue flags) to 3,468 beaches and 695 marinas for 2014.